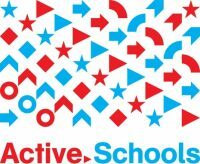 Active Schools is excited to announce seven-time Olympic medalist Shannon Miller, Stanfield Elementary School principal Chris Lineberry, and founding/former principal of Red Hawk Elementary School Cyrus Weinberger as the first Active Schools Ambassadors. This newly created team of athletes and experts is helping Active Schools inform parents, principals, teachers, policymakers, and the public about the many benefits of physical education and physical activity – including physical health, social-emotional health, and academic performance. The goal? To create a demand for K-12 schools to take action and provide students with at least 60 minutes a day of physical education and physical activity before, during, and after school. Seven-time Olympic medalist Shannon Miller remains the most decorated Olympic gymnast in American history. An advocate for the health and wellness of women and children through her company Shannon Miller Lifestyle and a mother of two, she knows how important it is to instill a love of movement from an early age. Cyrus Weinberger is founding and former principal of Red Hawk Elementary School in Erie, Colorado, and is currently preparing to open a new PK-8 school in the district in fall 2018. As the principal at Red Hawk, Cyrus developed a rigorous academic program coupled with a comprehensive wellness program — which now serves as the model for an online course on classroom physical activity integration, funded by the Colorado Health Foundation.